Ok, here we go, week one and the challenge is on. I made sure I got all the ingredients in and sat and read through the recipe. 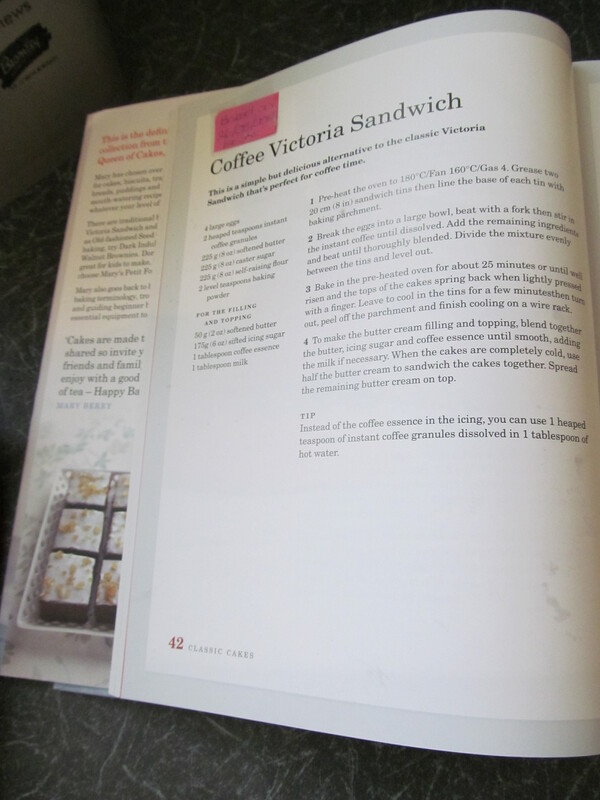 Mary Berry’s instructions are clear and concise but with no fancy terms, she inspires confidence that i can do it…..
After a confidence bolstering cup of tea, I ventured into the kitchen and got out all the equipment I needed and all the ingredients. Putting this cake mix together didn’t take long and to be honest, it felt like I was back at school in my home economics class. At the moment it didn’t feel so much of a challenge but a revision on what I already knew but I ploughed on regardless. The mix done, I carefully divided it into the prepared tins, put them in the pre-warmed oven, set the timer and it was time for that ever-so-english tradition of another cup of tea again. “PING” went the timer and I approached the oven with trepidation. How would they look? Was it too soon?…..or too late to take them out? Had I been a bit too blasé in setting the timer and not checking every so often? Phew- I wiped by brow with relief, they looked risen, brown and didn’t immediately subside when I looked at them, I removed them and set them aside to cool and then removed them faily easily from the tins onto the cooling rack. 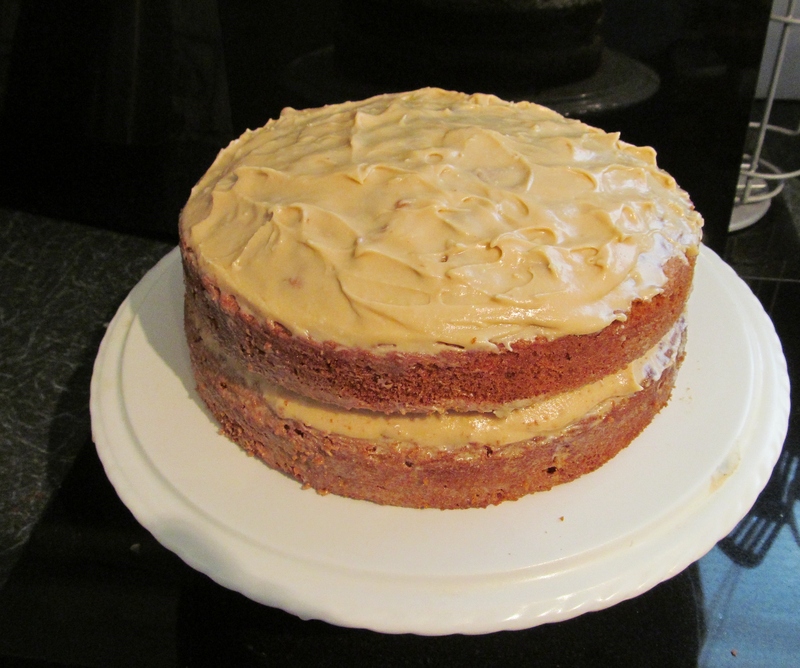 I then set to making the coffee buttercream – I love making buttercream icing but the initial mixing always creates clouds of icing sugar which seem to settle on every surface nearby! 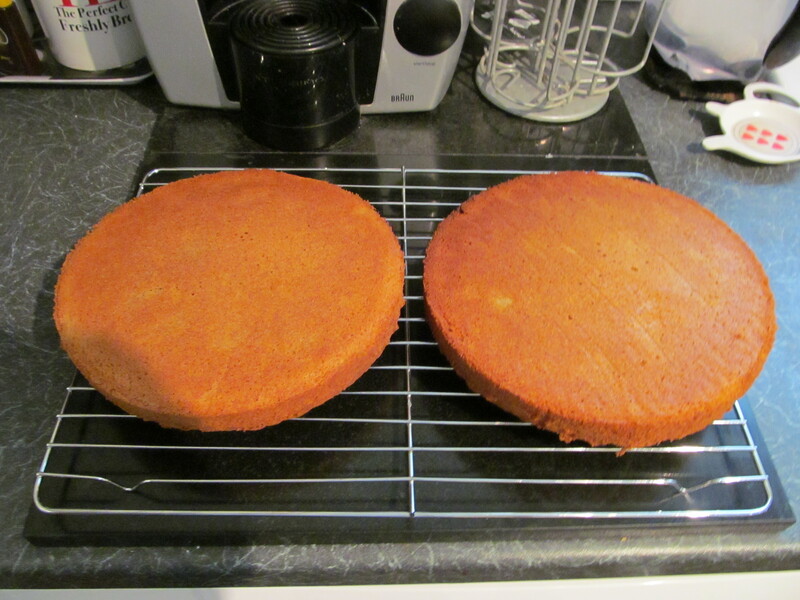 The final step, putting it all together, would it resemble in any way the picture on Mary Berry’s book? Well, not so pretty or precise but not bad for a first effort….. This entry was posted in Kim's cake challenge and tagged Baking, Buttercream, Cake, Challenge, Coffee victoria sandwich, Cooking, Kim, Kim's Cake Challenge, Mary Berry by kimsideas. Bookmark the permalink.